MFA, television writer/producer, WGA member whose credits include Drop Dead Diva and Shadowhunters: The Mortal Instruments. Mr. 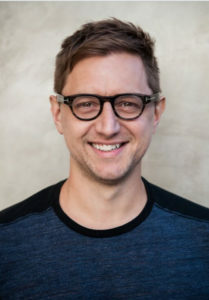 Hug was a former Director of Digital Content at Disney/ABC Television Group and his other credits include These People, #Adulting, Spooksville and The Malan Show. On some level we understand the concepts of beginning, middle, and end. It’s primal. It’s how cave-people realized they needed fire, figured out all the ways NOT to make fire, and the benefits of getting it right. For screen, television, and digital writing, story is told visually – and it’s still only about half clever imagery and dialogue and shenanigans. Mostly it’s solid foundation work and the mathematics underneath. I’m here to help you with the dynamics and specifics that help close the gap between the story you intend to tell and the story you’ve actually told. I want you to be comfortable with the beginning, active and complicated in the middle, and satisfied with the end. Mostly, I don’t think you should think or talk about it as much as you probably are. My job is to help you actually make something, get it down on paper, and get it out of your house.